800-2500 mesh calcite powder is ultra-fine powder, it is need to use ultra-fine powder processing equipment. 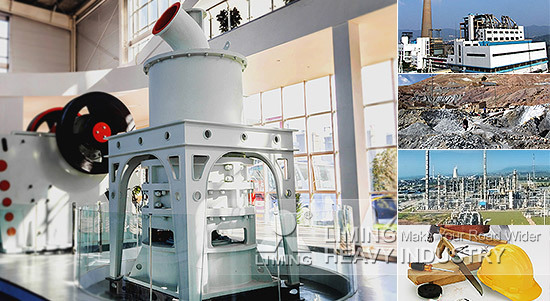 Liming Heavy Industry has produced LUM Series Superfine Vertical Roller Grinding Mill and MW Series Micro Powder Mill. Wherein the output size of LUM Series Superfine Vertical Roller Grinding Mill is 400-1250 mesh. Its production capacity is relatively large, can be up to 5-18 tons per hour. It is usually applied for large-scale limestone, calcite ultra-fine dry powder processing. The capacity of MW Series Micro Powder Mill is 0.6-8 tons per hour. On the output size, it is adjustable between 400-2500 mesh. According to the request of 800-2500 mesh, MW Series Micro Powder Mill is more suitable for calcite mill production requirements. The processed calcite powder is widely used in the plastics industry and every aspect of human life. Customers can according to the production needs to choose models.